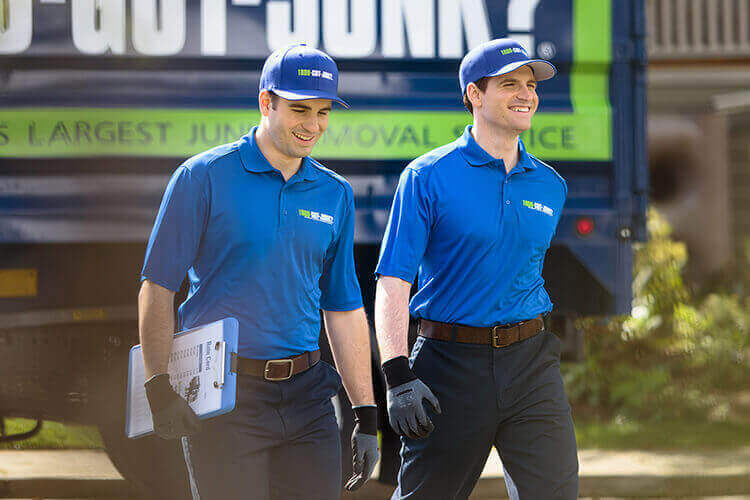 Shed Clean Outs & Removal Services | 1800-GOT-JUNK? It’s easy for sheds to become messy and cluttered over time. While it might have started with just a few lawn and garden tools, it doesn’t take long for your shed to become overcrowded with junk. Are you finding it hard to get to the things you actually need because there’s too much junk in the way? If you’ve got a shed that is full of things you just don’t need, we can help! At 1800-GOT-JUNK?, we’re shed cleanout experts. We’ll take care of all the heavy lifting, removing all your unwanted junk right from inside your shed and loading it into our trucks. Our goal is to make the process of junk removal easy for you. Whether it’s old tools, bikes, or just about anything else you no longer need, give us a call and we’ll get it out of your way.